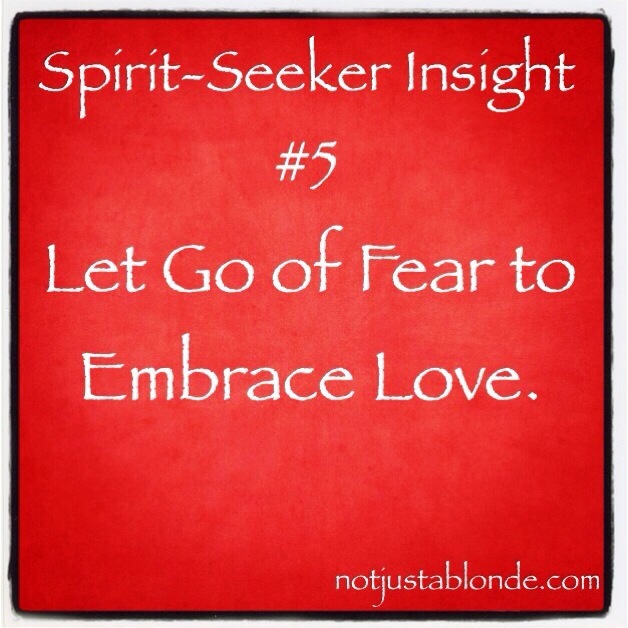 You gotta let go of Fear to embrace Love. If you are not feeling the love… start looking at your fears and ask God to help you overcome them. Fear is something each of us experiences. It can be a valuable teacher that show us where we need to grow, where we need to let go or where we need to go! Fear should not control us! Fear is only a messenger that lets us know we are not on the path God has intended for us. We should not try to avoid this feeling, but take notice of it and use it to help steer our path towards Love. God has a plan for us. We aren’t meant to live a life ruled by fear, but a life filled with LOVE! Ann, you have rightly recognized that fear is the key. If God wants you to do something, but you are being frightened off doing it by fear, the right (i.e. righteous) action is to act directly against the fear and overcome it. God uses fear (though He does not produce that fear) to test our resolve to come closer to Him. The Bible uses allegories such as refining gold, or silver, in the fire to represent this. Let us embrace love, this month, and bring in ascension. Look at this link, http://www.whoneedslight.net/page/484423582 …. Harmonic Ascension, April 15th. How true. My experience is that life lived in fear is no life at all. Ann, a further thought here, that relates to your last sentence, because it chimes in with something I just posted on Jesus Without Baggage. God has a plan that we are not equipped to perceive, and it involves a process in which everything has to be completed at the allotted time. We think that things need to happen right away, but God often delays them until the time is right. This is why we need to have patience, and boy have I needed to have patience!